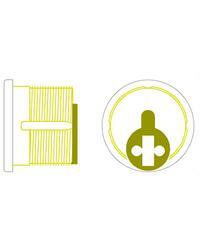 Dynaflair offers a wide selection of locking posts for your sliding closure or grille. Depending on aesthetics and customer requirements, different end posts can be used. 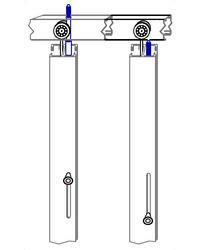 The #6 post is self-locking in the pocket, while the #2 post locks in front of the pocket door with a top and bottom bolt. 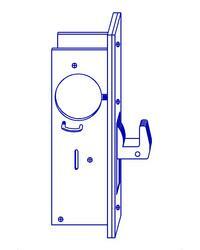 Our sliding grilles and closures are equipped with a bi-parting access or Egress device as necessitated by code. Please consult with Dynaflair's inside sales department toll-free at (800) 624-3667 for assistance.